Special Order Item – not normally held in the country - may be extended lead time. 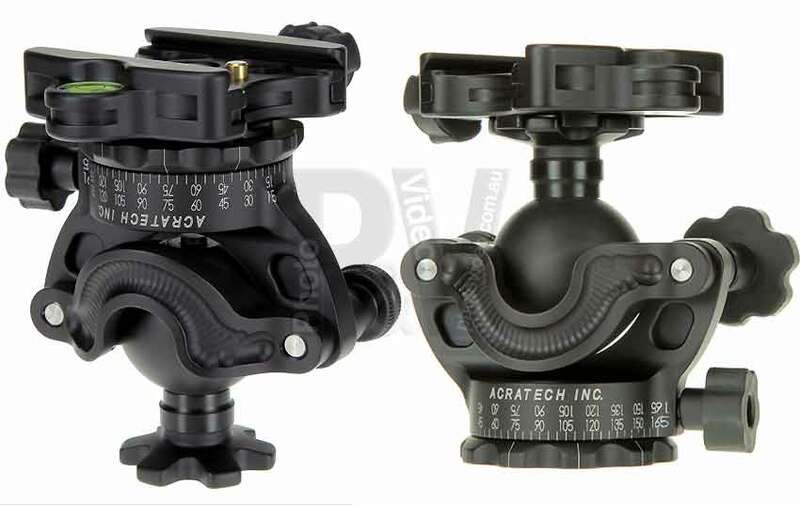 The new Acratech GP-S Ballhead is uniquely designed to function as a ballhead a Gimbal head and as a leveling base. Plate NOT included. A generic plate or camera specific plates are available separately. This model includes clamp with leveling bubble and detent pin. The new Acratech GP-s Ballhead has all the benefits and features of the GP Ballhead, including the ability to function as a gimbal head and as a panoramic head. But the GP-s Ball head has been designed with a smaller diameter base to allow it to be used with travel type tripods where the legs fold around the tripod head. 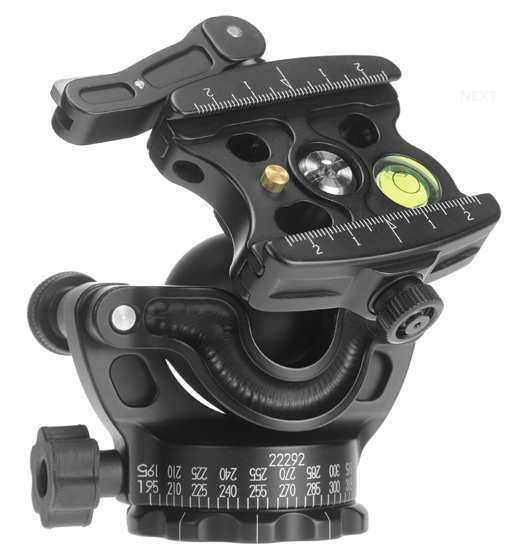 The smaller base diameter allows the tripod legs to fold more compactly. Even when using your tripod on rocky, uneven terrain the GP-S Ballhead allows you to pan parallel to the horizon, eliminating the need to carry a separate leveling base to create accurate panoramic images. This ballhead includes our specially designed Quick Release Clamp, with bulls eye level, double speed rubber knob, and detention pin. Weighs less than 1 lb (.45kg) with quick release clamp. Easily holds over 25 lbs (11.4kg) at any angle. Full movements allow any camera position. Compatible with Kirk, Arca, R.R.S., and many other Arca-Swiss compatible plates. Fits all standard tripods (1/4-20 and 3/8-16 threads). Lazer Engraved dual degree markings. Beautiful satin black anodized finish. Long lasting stainless steel hardware. All knobs are secured so they cannot vibrate loose and fall off. Oilless and greaseless ball will not attract or hold dirt and debris.